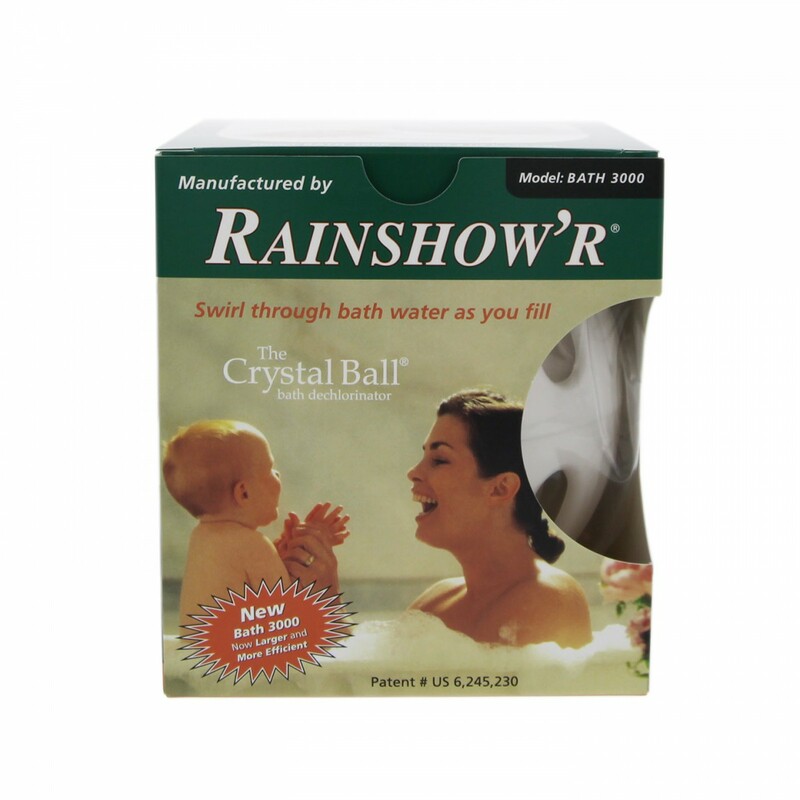 Fits the Rainshow'r BATH-3000 Crystal Ball. 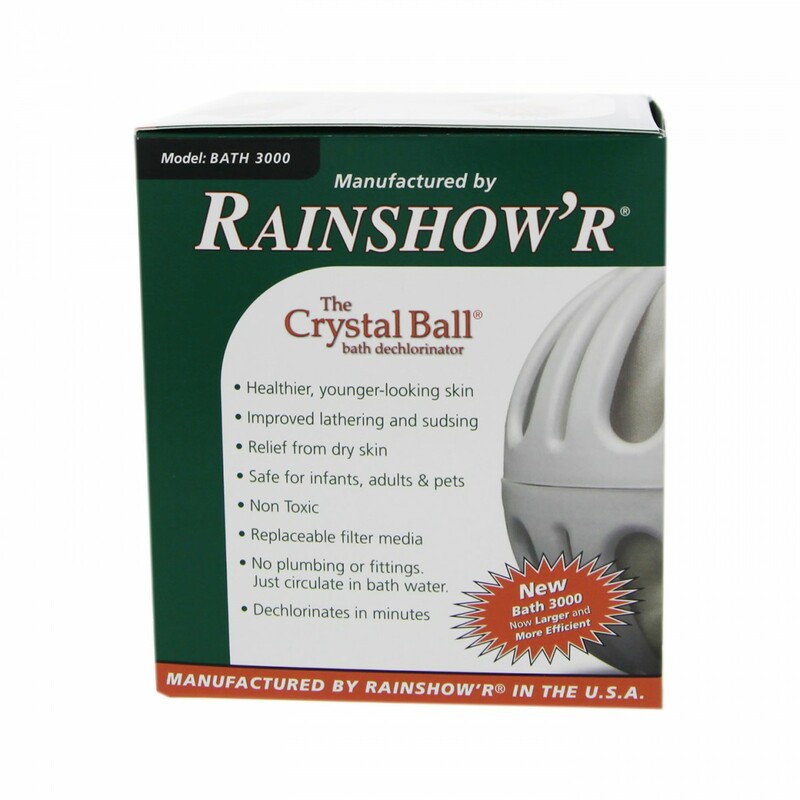 Renews the Crystal Ball Bath Dechlorinator for a healthier, more enjoyable bath … The Rainshower Way. 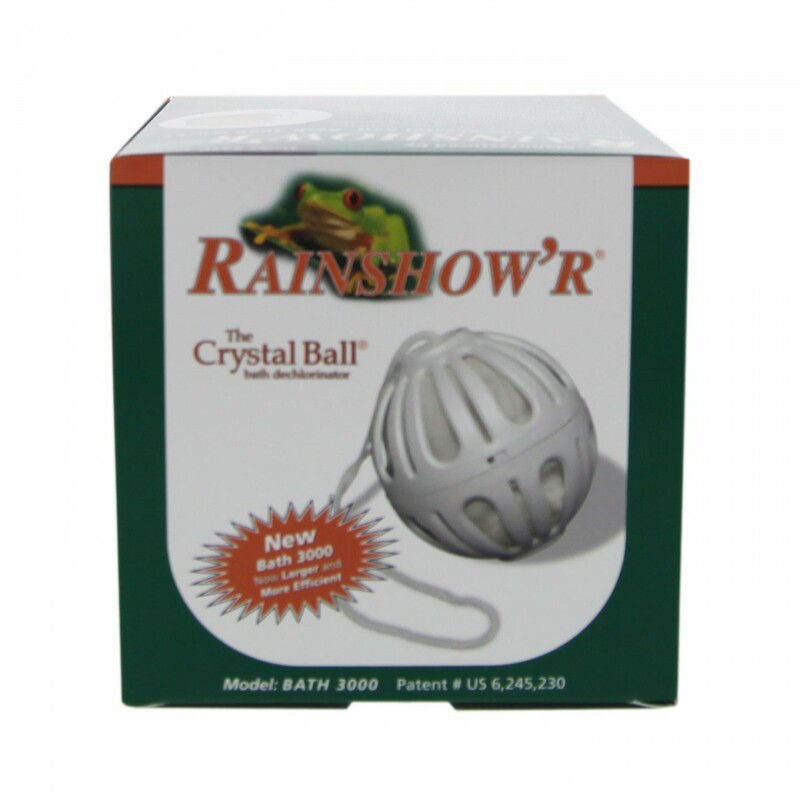 Dechlorinate your bath water with the Crystal Ball® by placing it into the tub and pulling it through the water with the attached 12- inch cord for 5 to 7 minutes or longer. 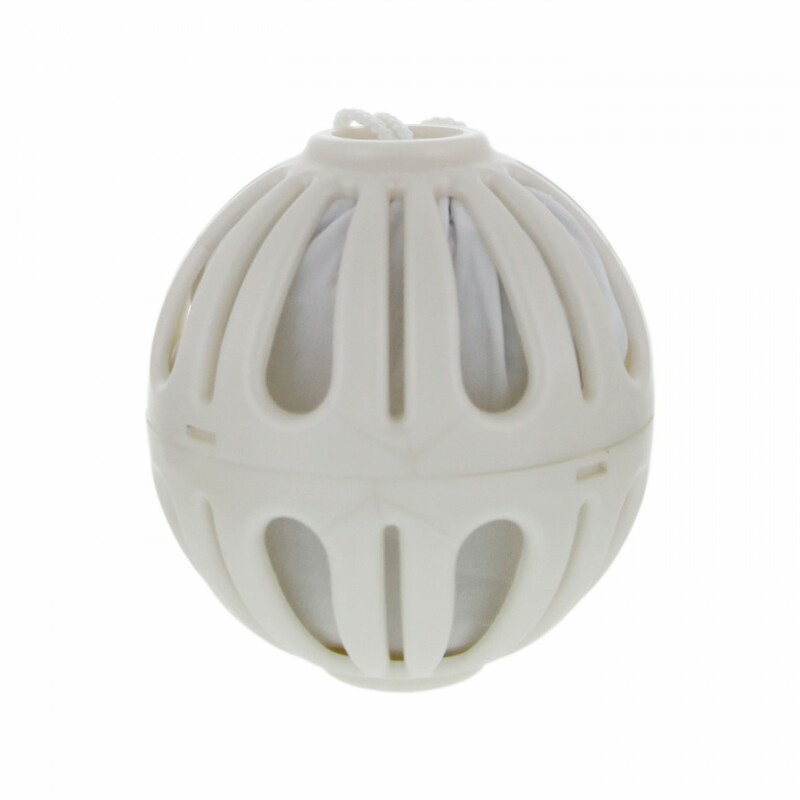 As chlorinated water flows through the filament the dissimilar metals in KDF®-73, (copper and zinc), create a galvanic or electrolytic reaction which causes the two chlorine ions to form a harmless chloride. 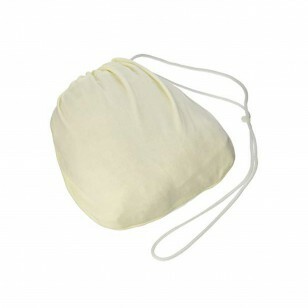 It changes the chlorine from an element into a harmless compound. 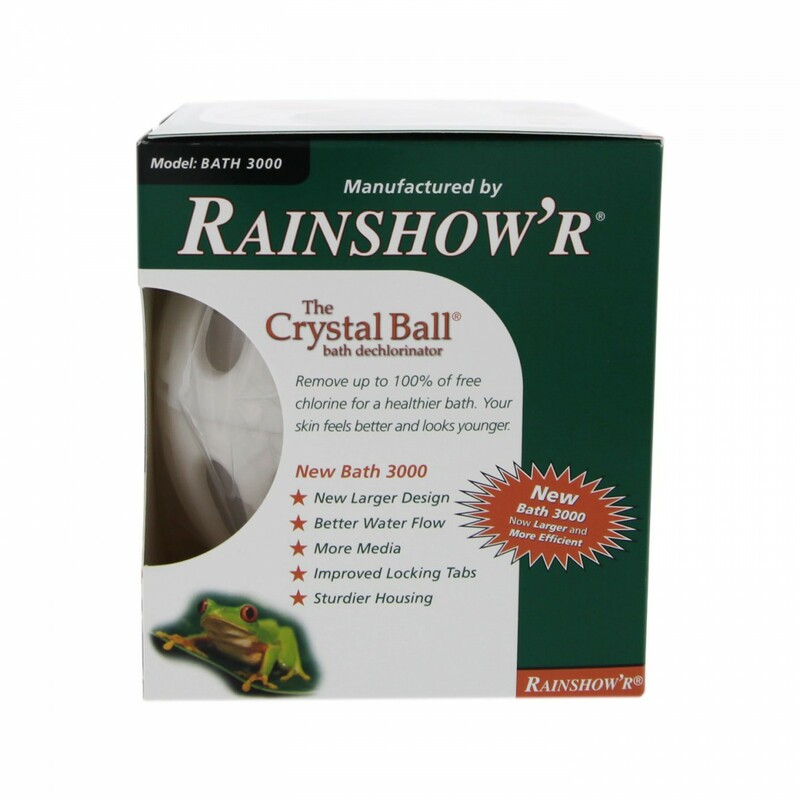 In addition to the KDF filament, the Crystal Ball® also uses our specially washed and sun dried quartz crystals to help “energize” the water by reducing the water’s surface tension. 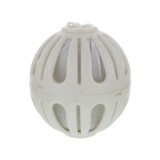 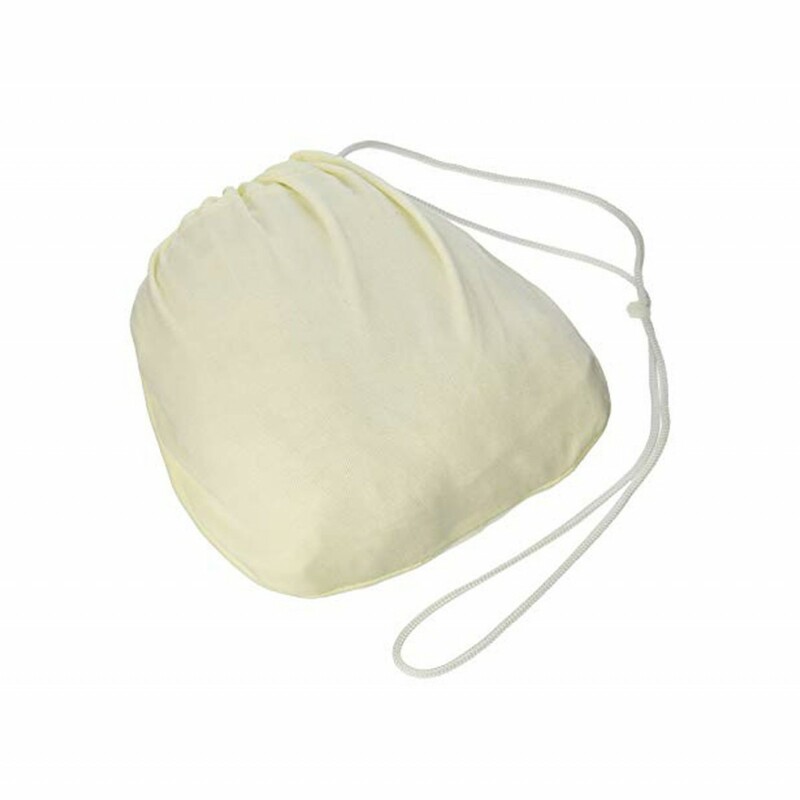 This allows for an increase in sudsing and lathering of soaps and shampoos. 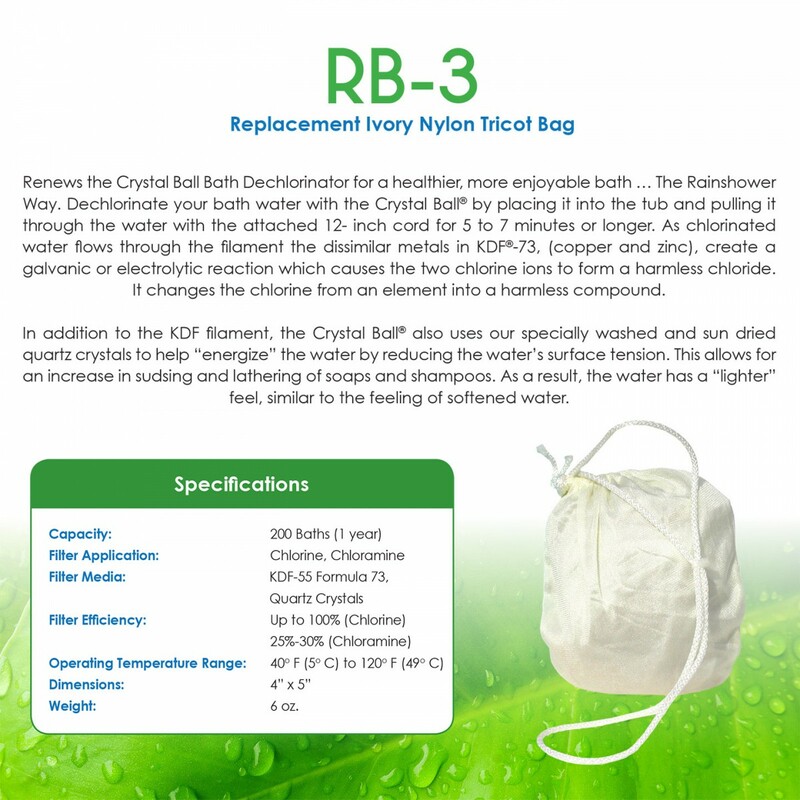 As a result, the water has a “lighter” feel, similar to the feeling of softened water. 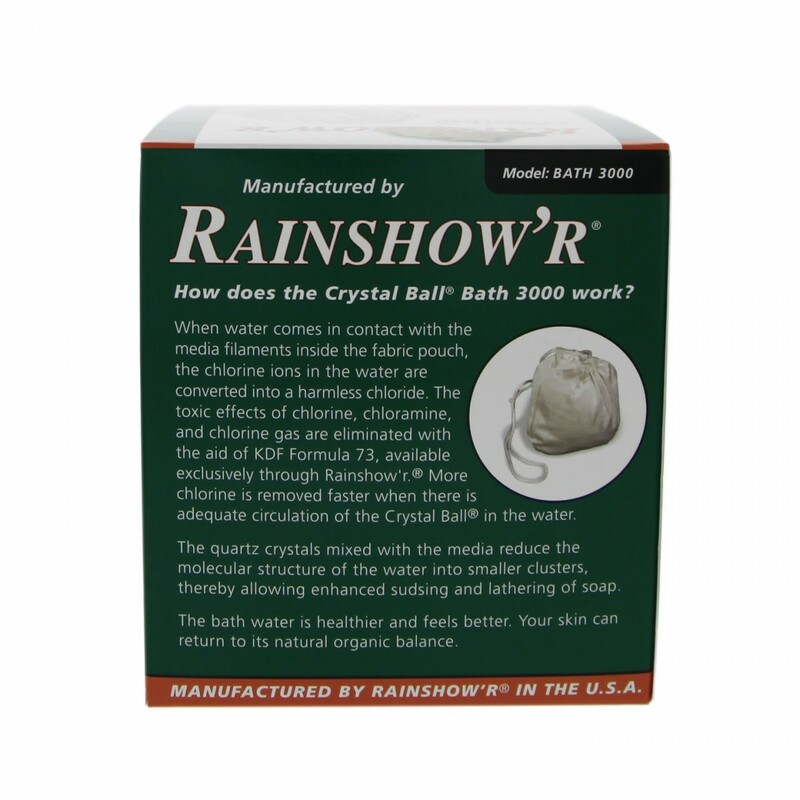 The RAINSHOWR-RB-3000 does not reduce fluoride.